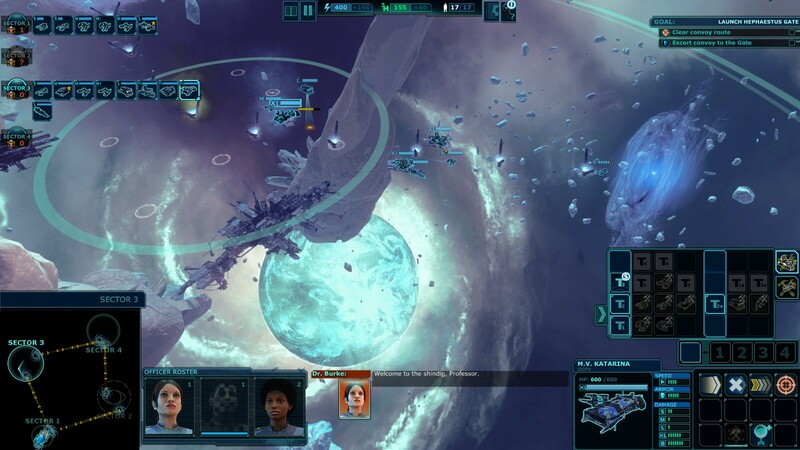 One day while browsing Steam, I encountered a game called Ancient Space that sold itself as an RTS focused on a story-driven single-player campaign. I pretty much started manically smashing the “buy” button. And I’m not sorry I did. Ancient Space is not without flaws, but overall I found it a solid and enjoyable experience. 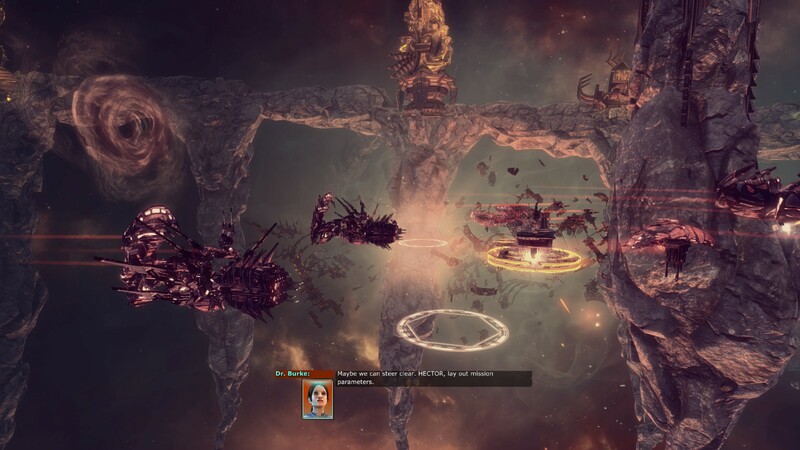 The story for Ancient Space focuses on an enigmatic region of space known as the Black Zone, so called because of anomalies and rifts in space that block communication and sensor signals, rendering ships within it deaf and blind. The Black Zone is home to a race of hostile aliens called the Scythe, and rumours swirl of vast alien beings known as Balaethans lurking in the cold voids. Worse still, the Black Zone is expanding, swallowing entire star systems as it encroaches on human space. Years ago, the human government dispatched the starship Ulysses to find the source of the expansion. It was never heard from again. Ancient Space follows passionate scientist Dr. Willow Burke as she commands a new expedition into the Black Zone aboard the Ulysses II to uncover the truth of what happened to her predecessors, unlock the mysteries of the Black Zone, and halt its expansion. The story is pretty strong, with good pacing and plenty of alien mysteries, political intrigue, and twists. It does suffer a little bit due to the technical limitations of the game — all story is delivered through in-mission dialogue, short mission briefings, or sparse flavour text — but considering that, the writers do an admirable job of working with what they’re given. Something that appealed to me is that this game seems to have been designed as an homage to Star Trek: Enterprise. 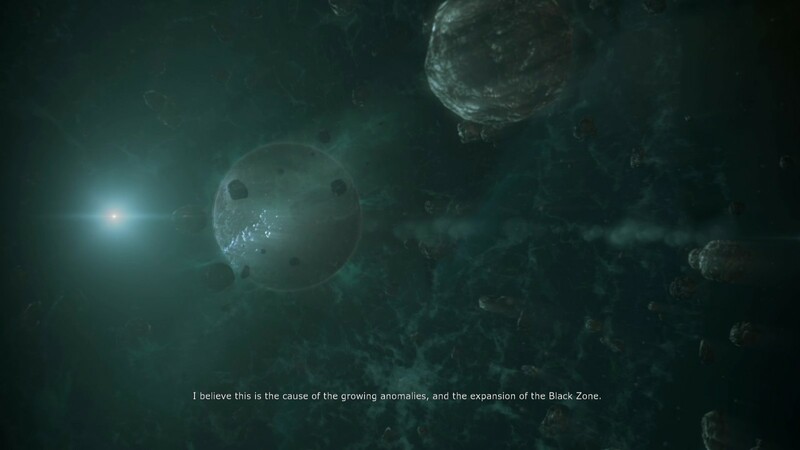 The Black Zone is eerily reminiscent of the Delphic Expanse from season three, and I don’t think it’s a coincidence that one of the main characters is voiced by John Billingsley (Dr. Phlox), especially considering he even references one of Phlox’s more famous lines at one point. 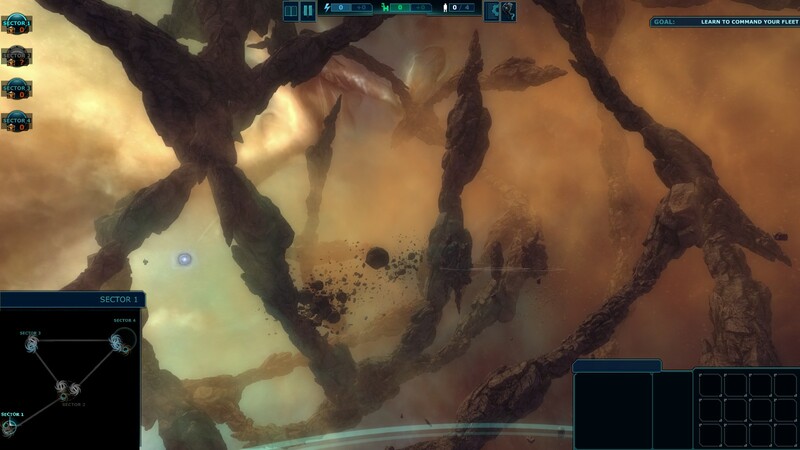 The story of Ancient Space is helped along by a strong sense of ambiance enforced by the game’s graphics and audio. The soundtrack for Ancient Space is one of the best I’ve heard in a video game. Seeming like a combination of Mass Effect and Battlestar Galactica’s soundtracks, it’s an eclectic mix of synth sounds, orchestras, and exotic instruments. The action tracks are thrilling, and the more ambient songs fill one with a sense of mystery — and maybe a little dread — reinforcing the alien nature of the Black Zone. Unfortunately, the sound effects are not of such a high quality. Weapon hits and explosions are almost inaudible, which tends to make the battles feel rather sterile. While not quite top of the line, the visuals in Ancient Space are quite impressive, depicting a variety of surreal and hauntingly alien deep space environments. My one complaint about the graphics is that the units are incredibly tiny and covered by obnoxious icons. Try as I might, I could not find a way to turn these off. On the plus side, the miniscule units are another thing that hammers home the feeling of isolation that runs throughout Ancient Space. Ambiance is not an easy thing to create in an RTS, but Ancient Space does a very good job of communicating the feeling of being lost and alone in a vast and often hostile universe. When it comes to gameplay, Ancient Space is for the most part a very traditional RTS. I found it reminiscent of old school games like the Dune series and the original StarCraft. It doesn’t cling to the past too much, though. While it’s not wildly innovative, it has enough modern ideas to feel somewhat fresh. There are between mission progression systems that allow you to upgrade your units and customize the capabilities of the Ulysses II. Your choice of senior officers for each mission grants you access to a variety of powerful (if fairly uncreative) abilities similar to the god powers in Age of Mythology. While the mission design isn’t as wildly creative as in StarCraft II, it’s got enough variety to stay interesting. However, the one major issue with Ancient Space’s gameplay — and my biggest complaint with the game — is that it is quite hard. Even playing on the lowest difficulty setting, I often found it challenging to the point of frustration, and more than once, I found myself having to restart a mission because I got slaughtered. And I’m an experienced RTS player who’s beaten StarCraft II on brutal. Someone without a lot of skill and experience in the genre would probably have a miserable time. However, if you’re already an RTS fan, then I definitely recommend Ancient Space. Overall rating: 7.5/10 I’m hoping for a sequel. 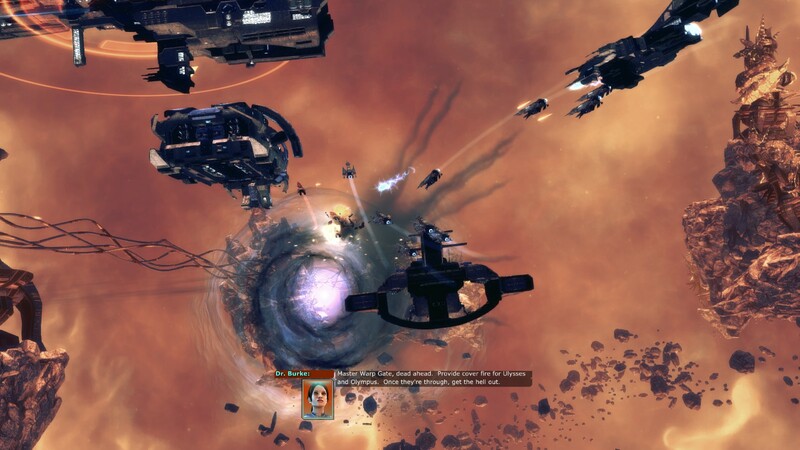 This entry was posted in Games, Reviews and tagged Ancient Space, review, sci-fi by Tyler F.M. Edwards. Bookmark the permalink.